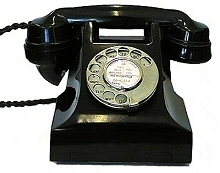 Beautifully restored, fully functional telephones, delivered with our peace of mind one-year guarantee! 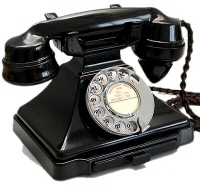 Our telephone specialist has been specialising in telephones since 1972, bringing 40 years of experience and dedication to the location, renovation and selling of old and vintage phones. Even the earliest of instruments come lovingly restored and all but the odd early collectors piece come with a 12 month guarantee in full working order. 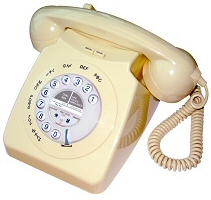 Virtually any phone can be made to work in any country and we will supply your phone with the correct plug for your telephone socket. 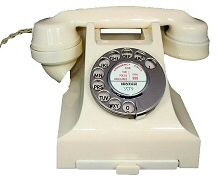 Telephones have proven an excellent and functional investment over the years, and, for example, the last dial phones used in Britain (the 700 series) are now also beginning to appreciate rapidly. 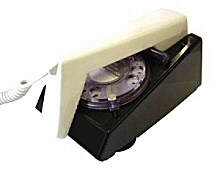 We currently have (diminishing) quantities of most of our original phones, so why not make an investment we are sure you are not going to regret.